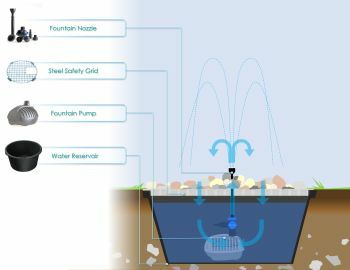 Our Pondless fountains are designed to be easy to install, child safe, compact and adaptable, all without compromising on garden space. The Set 1 Pondless Fountain is ideal for inserting into a patio area, garden lawn or planting border and will provide a small decorative water display without open water concerns. The supplied OASE Fountain pump is extremely energy efficient at only 9 Watts and is supplied with 10 metres of 230V electrical cable for simple electrical connection. Optional LED Lighting can be added for further enjoyment. 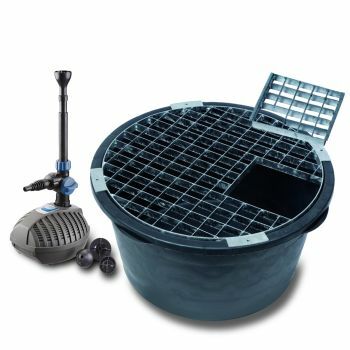 Ø60cm x D36cm underground reservoir (90 litres capacity). Galvanised Steel Grid with separate Pump Access Hatch (150Kg max load). 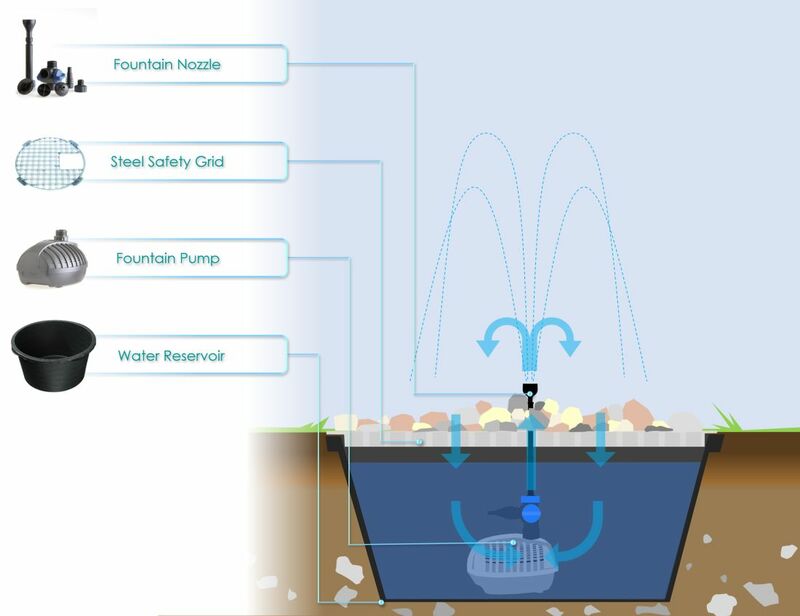 Oase Aquarius Fountain Set 750 submersible pump. 1x Vulkan Nozzle, 1x Lava Nozzle, 1x Magma Nozzle. 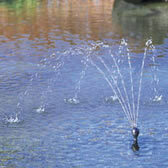 The Aquarius Fountain Set 750 is supplied with 3 different fountain nozzles. The chart below gives the fountain pattern dimensions for each nozzle combination. Dig a circular hole that measures 60cm in diameter so that the reservoir and grid sit just below ground level. Place your reservoir in the hole and fill in any gaps around the edges with sand and ensure the reservoir is levelled. 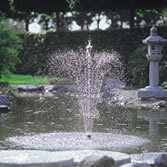 Place your Aquarius Fountain Set 750 Pump in the centre of your reservoir. Screw your Aquarius Fountain pump riser and nozzles onto the top outlet of the pump. Place the included steel suppport grid and access hatch on top of your reservoir and over your fountain pump. Connect the fountain pump cable to your outdoor electrical socket or switchbox. Run the pump and set the fountain display height so that the water always lands inside the reservoir. 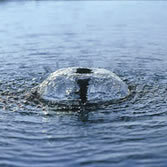 Place your stones, pebbles or aggregate around the fountain nozzle covering the top of the reservoir grid. 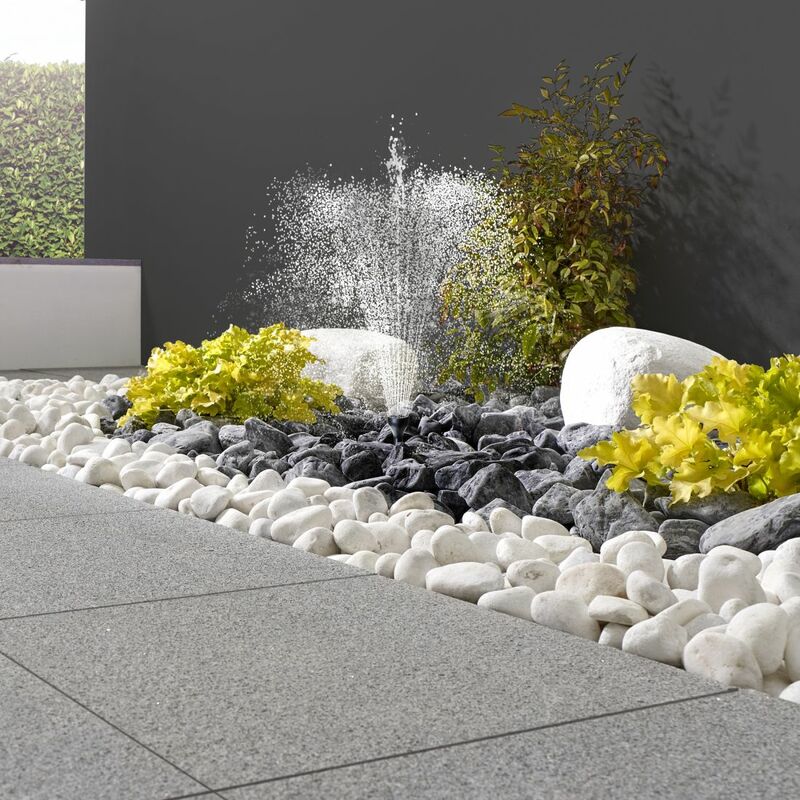 Sit back and enjoy your new pondless water feature.